Since his first band Arcs & Trauma played Reading & Leeds festival in 2010, James Leonard Hewitson has packed a lot into his musical career, not least just finishing a music degree at Newcastle University. In the last twelve months alone, quietly confident James has managed to fit in trumpet duties for Kingsley Chapman & The Murder, a touring stint with Frankie & The Heartstrings (supporting The Charlatans) and a Lissie’s Heart Murmur release for his micro indie label, Endearment Records. As we chin-wagged about gig posters, vinyl prices and riot grrrl (“Armpit and the Glitter Babies! Hartlepool has never had a riot grrrl band before!”) over a beer in one of Stockton’s leafier pub gardens, I asked James why he’s now chosen to release his debut single Care Less, Love Less? Care Less, Love Less is a three-and-a-half-minute slice of melodic anti-folk given the full backing band treatment, reminiscent of early Badly Drawn Boy or Adam Green. And to promote it there is a mini North East tour starting with a free show at Sound It Out in Stockton on Saturday 9th and including a hometown show at The Studio, Hartlepool on Friday 22nd and Newcastle’s Head of Steam on Saturday 23rd July amongst others. 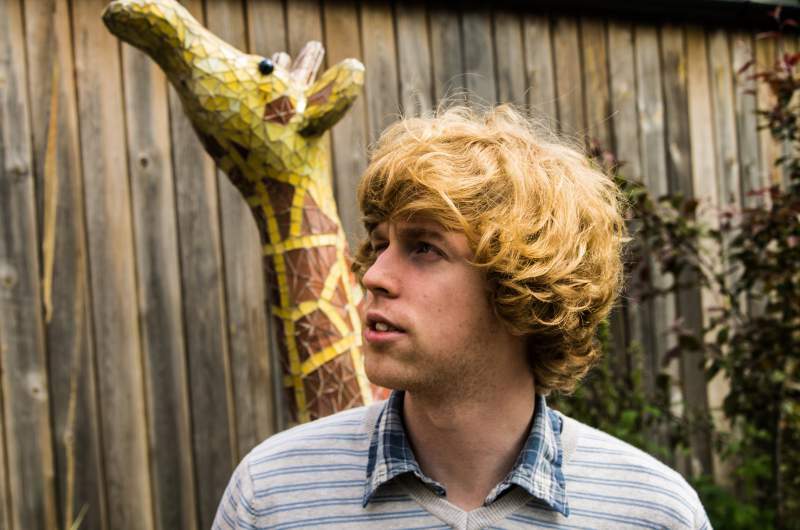 James Leonard Hewitson releases Care Less, Love Less on 15th July via Endearment Records. He plays Sound it Out, Stockton on Saturday 9th, The Studio, Hartlepool on Friday 22nd, Newcastle’s Head of Steam and Sunderland’s Pop Recs (afternoon show) on Saturday 23rd July.